Mama taught Dennis Watlington, a two-year-old Black kid in Harlem, the alphabet. "Black people have to sound 'telligent", she said in the 1950s. 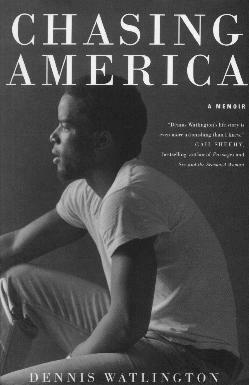 This eloquently and moving account of a young man's growing up in America, had me turning pages to find out more. Mr. Watlington's beautiful way with words takes you on a voyage of discovery into the heart of a Black boy growing up to become a Black man. It's never easy to truly know how another person feels, but this book is different - you actually feel his experiences and more than a few light bulbs went off in my head. I loved his grandmother's quote - he was in the second grade when he was sent to live with her in South Carolina: "Down here, we live different. Takes more life to live if you Colored". Going from having elecricity to not having any, for one thing, was tough. Learning about segregation - I'll never fully comprehend. Interestingly, he says while just starting a new school, he learned more than at any other time in his life, "I learned more about racial and class harrassment from middle-class Black folks than I did from Whites". Life, and its lessons, were hard to learn. At age eleven he had his first marijuana smoke, and then moved on to heroin and stealing to feed his habit. All the time being reprimanded about how he was wasting his "in" with Whites. He was thrown out of schools, ran with junkies, was there for the racial and sexual changes of the 60s, went to jail, went to a preparatory school, played football, and so much more. Not much mention of his family. Conclusion - Exquisitely written and a joy to read. It brought tears to my eyes more than once. Bravo.